Your special day, customized to the last detail. Getting a bridal henna is an intimate part of your wedding preparations, and Divya will be with you from start to finish. Brides can now take advantage by completely and fully customizing their bridal henna with no added cost. By listening to your wishes, Divya visualizes a henna design that will tell your love story. She takes pride in adding personalized touches weaved into your design to show where you and your significant other have met, something that unites you, what you fell for in each other or anything that would make your wedding extra special. All of this innovates the artwork from being purely tradition, to something uniquely yours. Your henna might fade quickly after your wedding celebrations are over, but the memories and wedding pictures will last a lifetime. Bridal henna both temporary and an everlasting memory. Includes Indo-Arabic style henna with simple, and custom elements. Extends just beyond the wrists paired with a similar style on the backs of the hands. 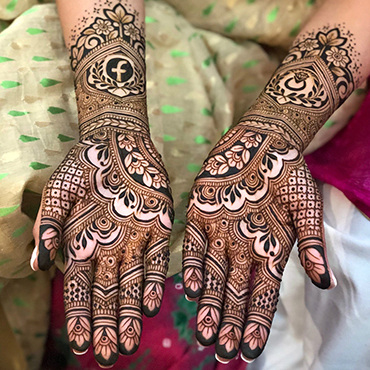 Includes intricate & custom henna on palms and mid-way up the forearm wrapped seamlessly with a similar intricacy and length around backs of the hands. 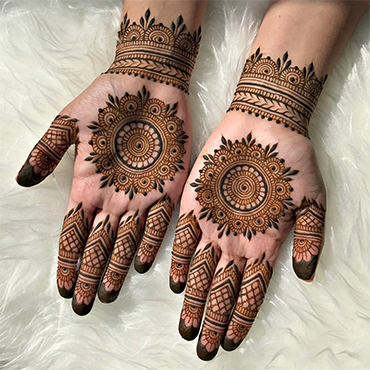 Includes intricate & custom henna on palms and forearms all the way up to the elbow and wrapping around in a similar style and intricacy on the backs of hands. 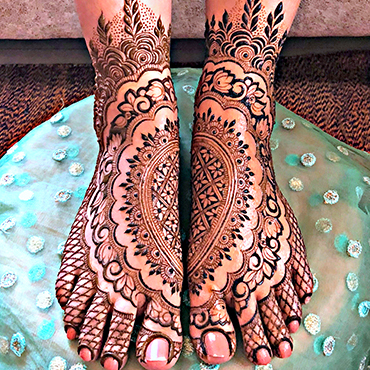 This package includes simple and minimalistic henna on the feet that extends to the ankle. Brides can choose between a structured design or a more flowy design. This is perfect for those brides who want the focus to be on their hands! This package includes intricate henna that fills the tops of your feet and extends to the ankle. The length of this design is the same as the “classic” but it fills up more. Perfect for those that want to match a heavy design on their arms with heavy design on their feet. Henna by Divya is always ready to bring our excellent services to you anywhere in the world, on request! Henna is best when freshly prepared. 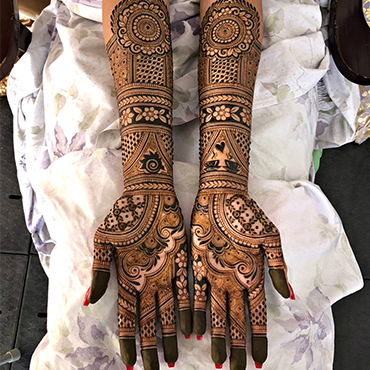 We understand this at Henna by Divya, and that is why we have decided to take the beauty of 100% natural henna and exquisite designs to weddings, anywhere in the world. With Henna by Divya, location is never a problem. All sessions are personally handled by Divya, so you can rest assured of the best delivery possible, both in the creation of the designs and the important aftercare processes. We are very much committed to making your special day amazing, by making you the center of attraction with our beautiful and unique designs. Contact us today for more information and how to book. Please make sure you have entered the date of your wedding, not the date you want your henna done. 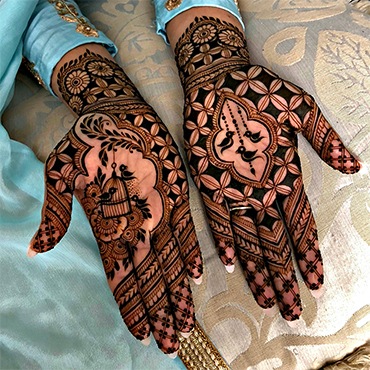 How would you like to customize your bridal henna? Tell us your story!